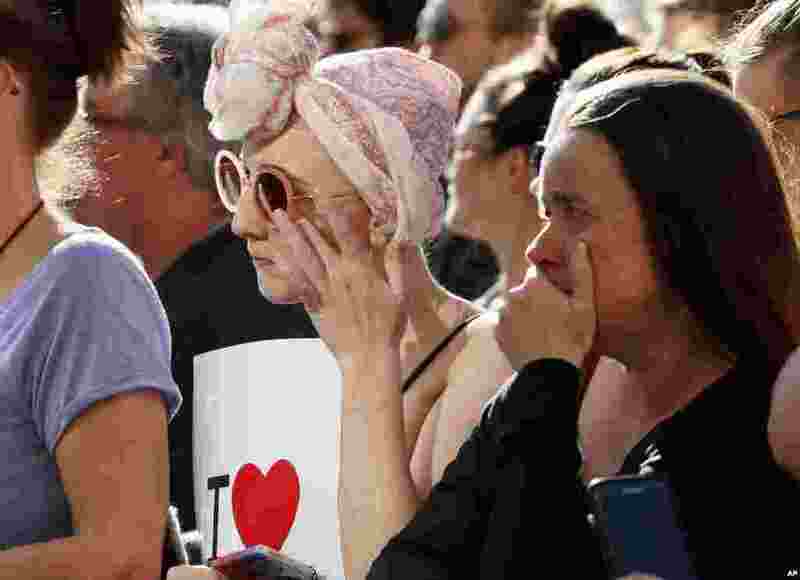 Hundreds of people gathered Tuesday to remember the victims and stand firm in the face of terror after a bomber struck a concert by American pop star Ariana Grande in the northern English city of Manchester on Monday night, killing 22 people and injuring 59. 1 People attend a vigil in Albert Square, Manchester, England, May 23, 2017, the day after the suicide attack at an Ariana Grande concert that left 22 people dead as it ended on Monday night. 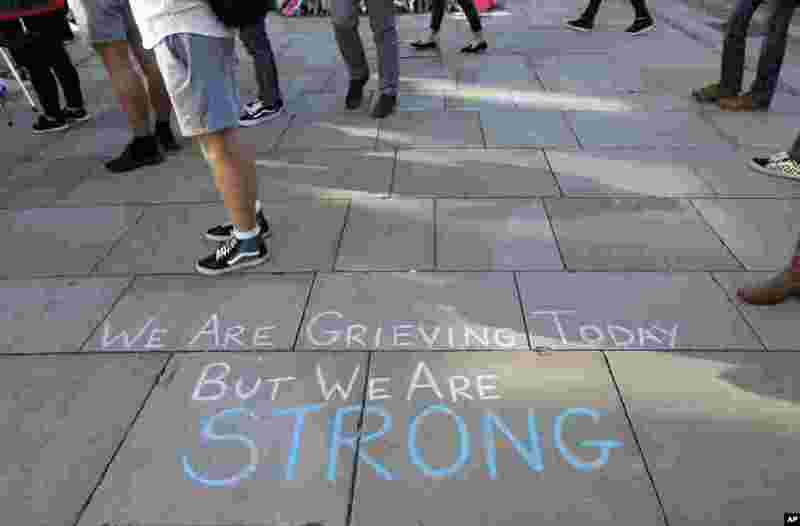 2 A message is written on the pavement in Manchester, England, May 23, 2017, the day after the suicide attack at an Ariana Grande concert that left 22 people dead. 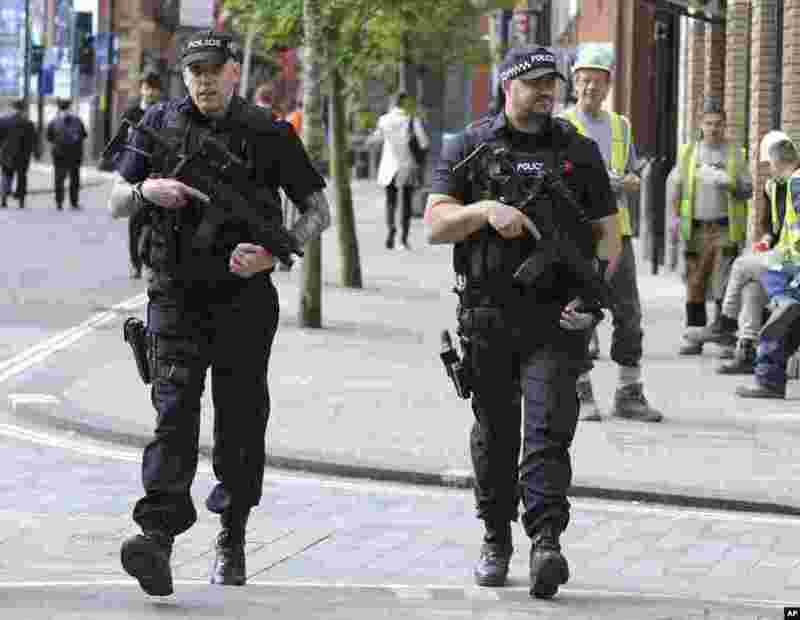 3 Armed police patrol the streets near to Manchester Arena in central Manchester, England, May 23, 2017. 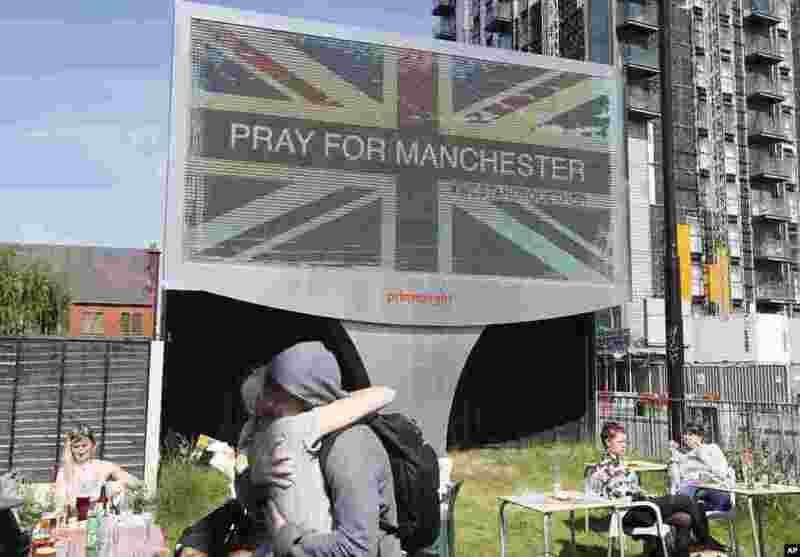 4 A couple embrace under a billboard in Manchester city center, May 23, 2017, the day after the suicide attack at an Ariana Grande concert that left 22 people dead as it ended on Monday night.